Nineteen sixty-eight was a pivotal year that grew more intense with each day. As thousands of Vietnamese and Americans were killed in war, students across four continents took over colleges and city streets. Assassins murdered Dr. King and Robert F. Kennedy. Demonstrators turned out in Prague and Chicago, and in Mexico City, young people and Olympic athletes protested. In those intense months, generations battled and the world wobbled on the edge of some vast change that was exhilarating one day and terrifying the next. To capture that extraordinary year, editors Marc Aronson and Susan Campbell Bartoletti created an anthology that showcases many genres of nonfiction. Some contributors use a broad canvas, others take a close look at a moment, and matched essays examine the same experience from different points of view. 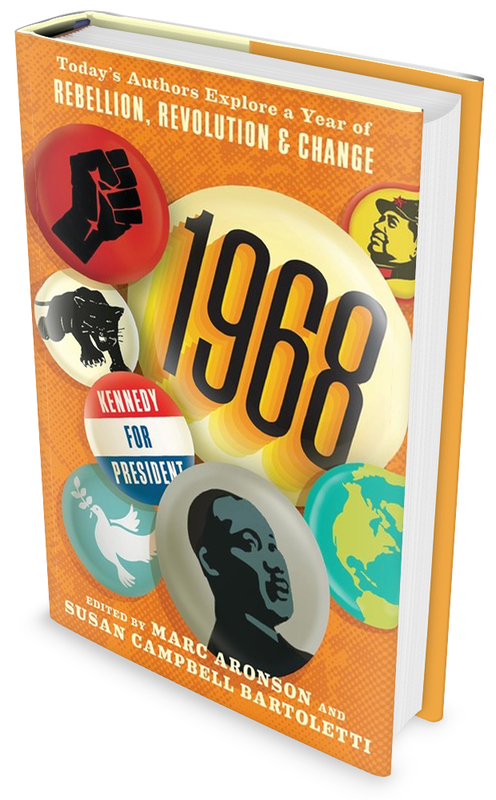 As we face our own moments of crisis and division, 1968 reminds us that we’ve clashed before and found a way forward — and that looking back can help map a way ahead. Marc Aronson is the author and editor of many titles for young people, including War Is: Soldiers, Survivors, and Storytellers Talk about War, co-edited by Patty Campbell, and Master of Deceit: J. Edgar Hoover and America in the Age of Lies. Marc Aronson lives in New Jersey. To be published by Candlewick Press in 2018.